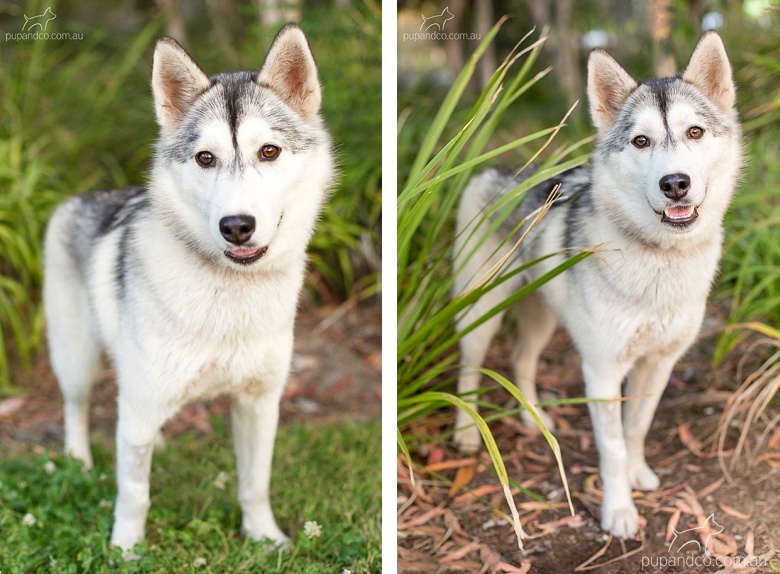 Edit: Lumi has been adopted! 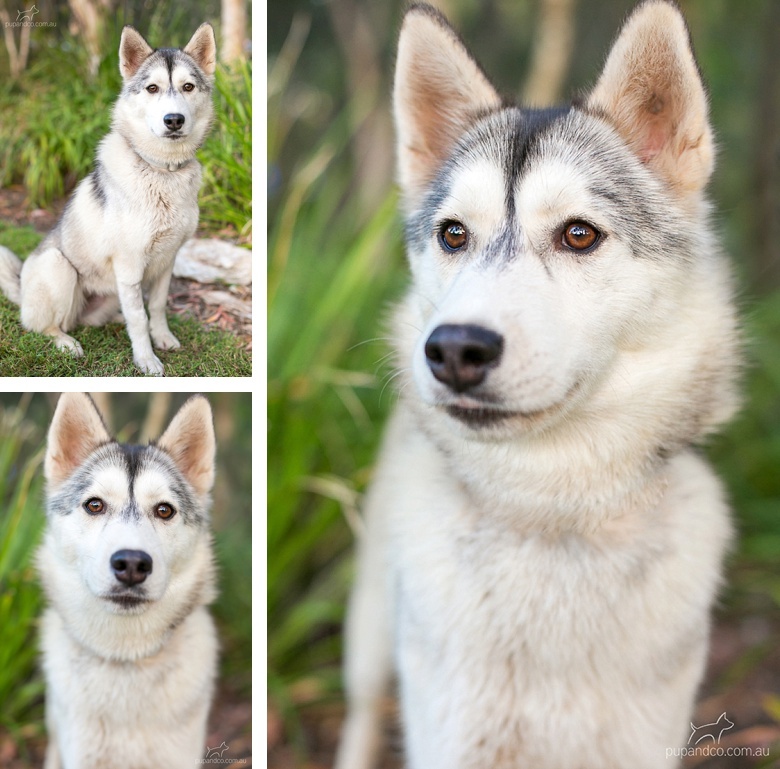 This beautiful girl is Lumi, a one-year-old Siberian Husky girl. She was surrendered by her previous family, and thanks to SHAMROQ is now looking for a new home. 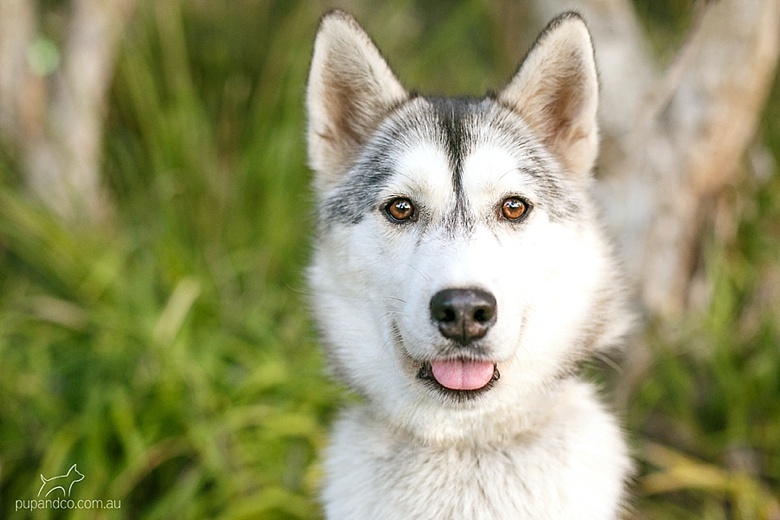 Lumi is quite tiny for a Siberian Husky, but comes with a big personality. Her new family will ideally have an easygoing medium to large male doggy friend for her, but she will also consider being a solo dog as long as there’s someone home more often than not. Lumi is happiest with company and lots of attention, pats and cuddles. Let me tell you, this little lady is an absolute superstar. While I was getting ready and setting up my camera for her photos, a small mob gathered around Lumi and her foster carer, to admire and ask questions about the beautiful “wolf”. I think it’s the closest I’ve ever come to photographing a celebrity! And as you can see from the photos, she has her Blue Steel look down pat.